This RUN is signed, numbered and embossed and comes with a Certificate of Authenticity from Shok-1. NOTE: This RUN is hand-painted by SHOK-1 and will light up under ultraviolet light. We are pleased to announce a small release of 8 unique 1/1 versions of 'Dog With Bones’ by pioneer of aerosol X-ray art SHOK-1. The works are in an XL size format of 70 x 42 cm ( 27.6 x 16.5 in). Each character has been completely handpainted by the artist with multiple layers of acrylic paint to produce a standalone version with it’s own personality distinct from the others. The artist developed this unique process over the course of 3 years, seeking a perfect unification of print and paint. 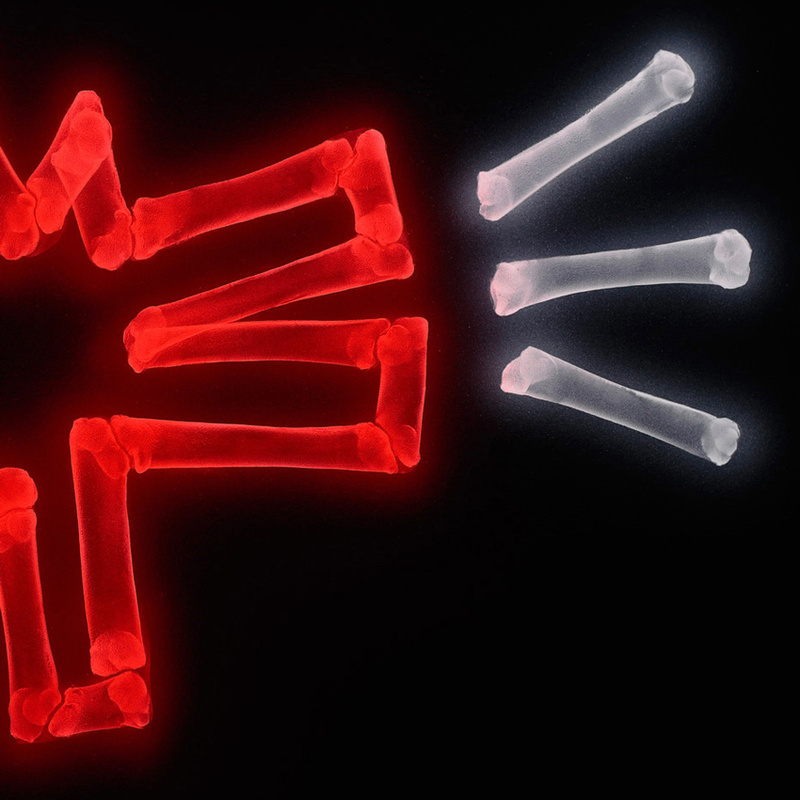 Some feature neon X-rays which will light up under ultraviolet light. 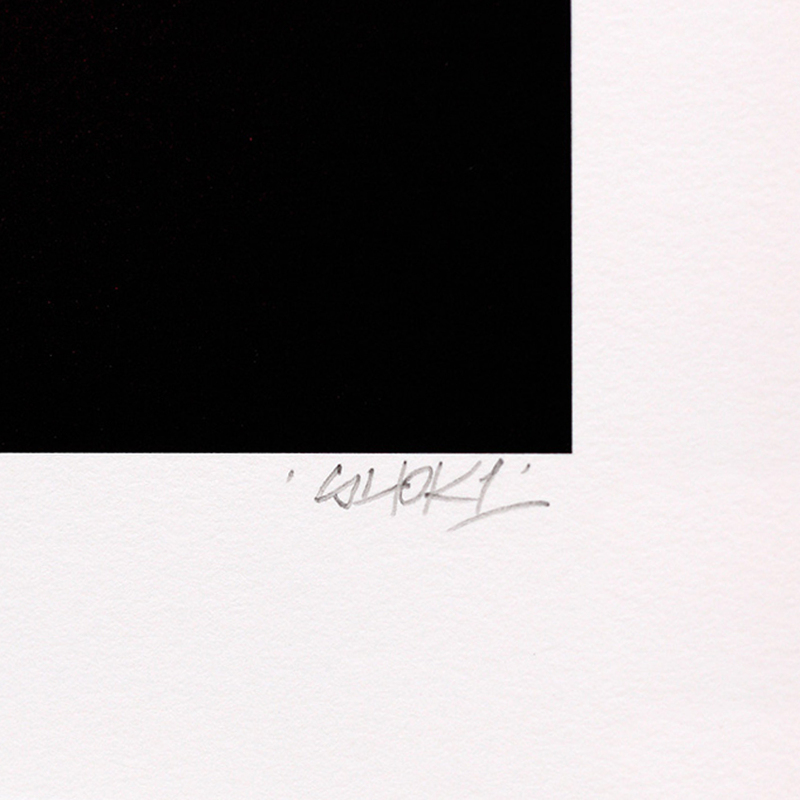 Each work includes a signed Certificate of Authenticity issued directly by the artist. The original wall piece the works are based on was painted in London in 2015 at a street location not far from the Tate Modern museum. 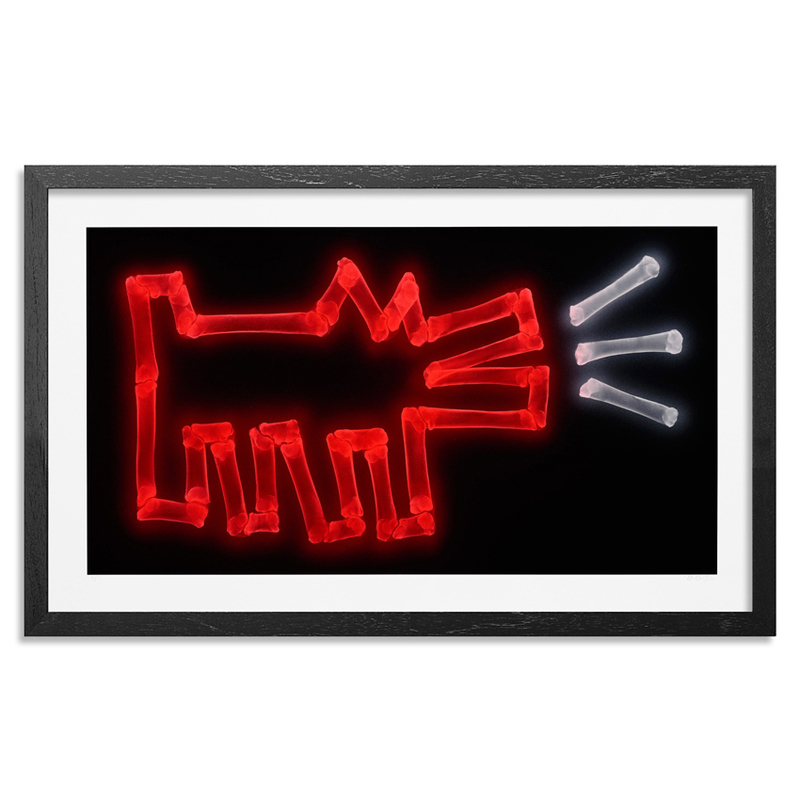 It features a version of the iconic Keith Haring dog from the 80's rendered in the artist’s signature X-ray style. It was executed entirely in freehand spraypaint using no masking tape or stencils, a unique process pioneered by the artist. It is an evolution of techniques refined over 32 years of working in the medium. Somewhere between pastiche and parody, it is intended as a kind of diagnosis of the original artwork and Haring in general. SHOK-1 elaborates, “I feel that Haring's relevance to his own time period is analogous to the relationship between graffiti and street art in current times." 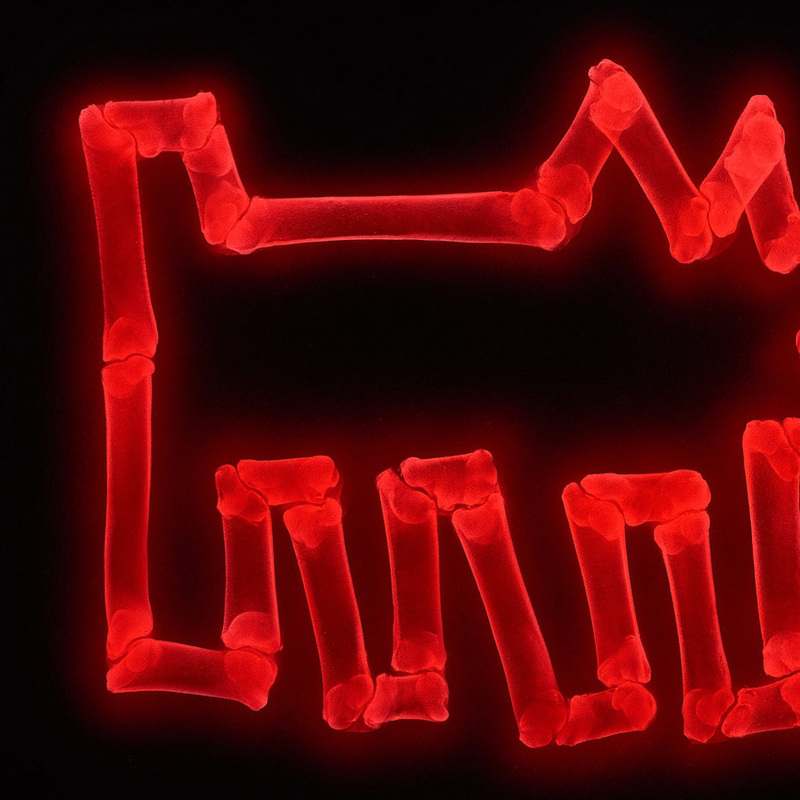 The work also has some humour to it, a playful and unexpected take on an animal X-ray. British artist SHOK-1 spraypaints unique X-ray art on walls around the world. The works present a kind of diagnosis of life in the 21st century, sometimes in glowing health and other times pathological. A cool blend of street and science, the paintings are enormously popular. New pieces regularly gain millions of views with print editions selling out rapidly. Following on from the highly regarded X-Rainbow series, the new X-Pop series takes a look inside popular culture, visualising X-rays of major icons and characters. The works observe how culture becomes part of the anatomy of a person and conversely visualise culture as having an anatomy of it’s own.